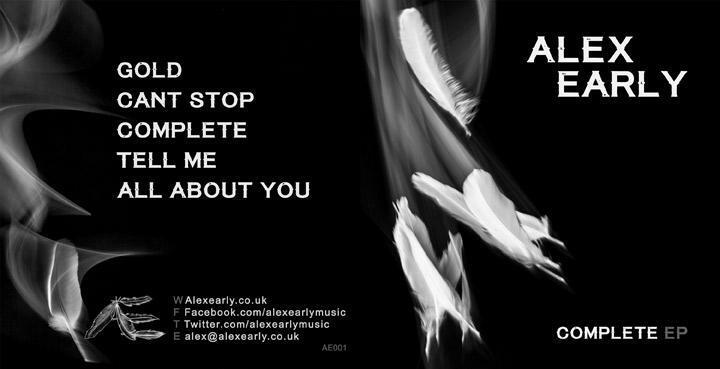 To show an example of what we can offer, we are highlighting our work for the talented singer/songwriter Alex Early. Alex came to us for recording and soon realised we could offer so much more to help him achieve a complete package. 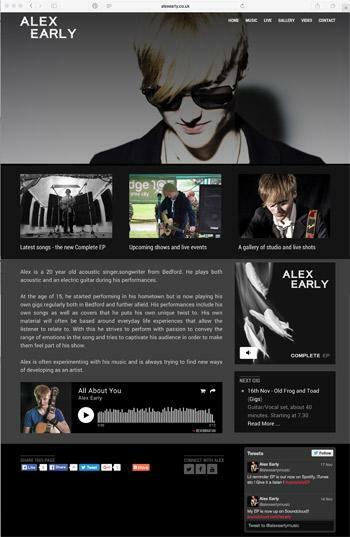 This included recording the EP, CD artwork creation and design, studio photoshoot and bespoke web site. We are currently planning Alex's promotional video for his superb 'Complete EP'. 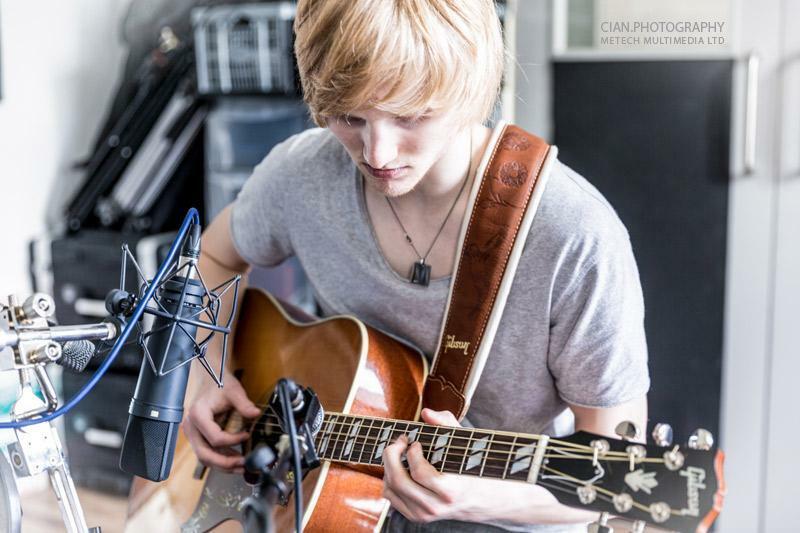 Have your songs professionally captured at our modern recording studio facility in Bedfordshire. We have engineers with many years experience working in most music genres. Metech can also help with song production including additional writing and session performance by professional musicians playing many instruments, should you wish to come in with ideas and leave with professional, commercial recordings. 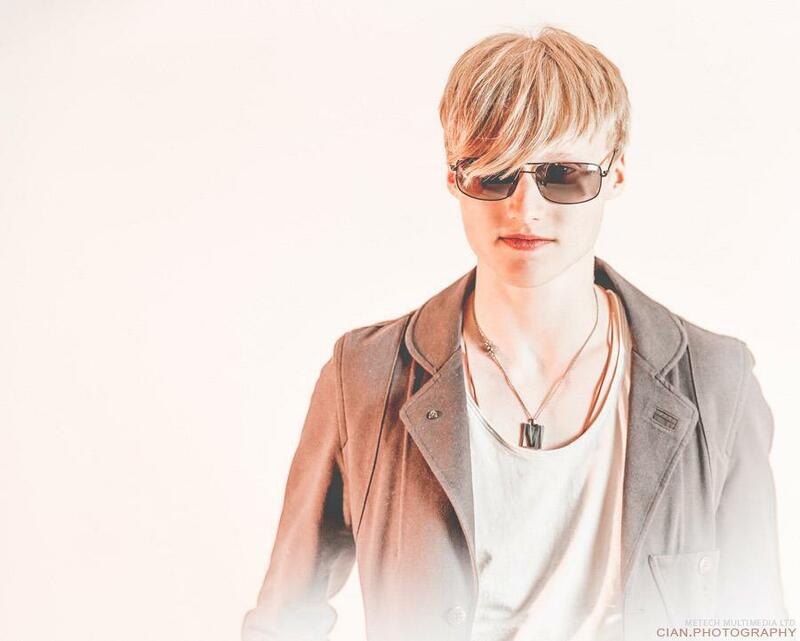 Recordings include refined mixing and mastering. The idea of the photoshoot is to give you a variety of shots in different surroundings, that can be used for CD/Digital artwork, your web site, promo. Having a good bundle of images is going to be handy for slow release, keeping your profile's, promo and blog posts fresh for a long while. We can help you get your ideas onto a cover for your promo CD. A handy tool for gigging, for a financial top-up, or simply handing to the right people, as you meet them.. promotors, agents, managers, magazines, radio.. You never know who may turn up at your gigs.. It's good to have a professionally produced CD to hand to them. 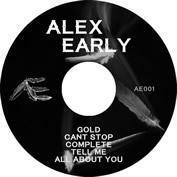 Go for CD Duplication, rather than Replication, for glass master pressing and very reliable playback. We know some good deals for short runs (200-500 units). We can create your DDL file, authoring it prepared for submission to the duplication plant. This will contain the song information (for text visuals on some players), run times, ISRC numbers for the tracks, Bar code (if applicable), label and other optional meta data. 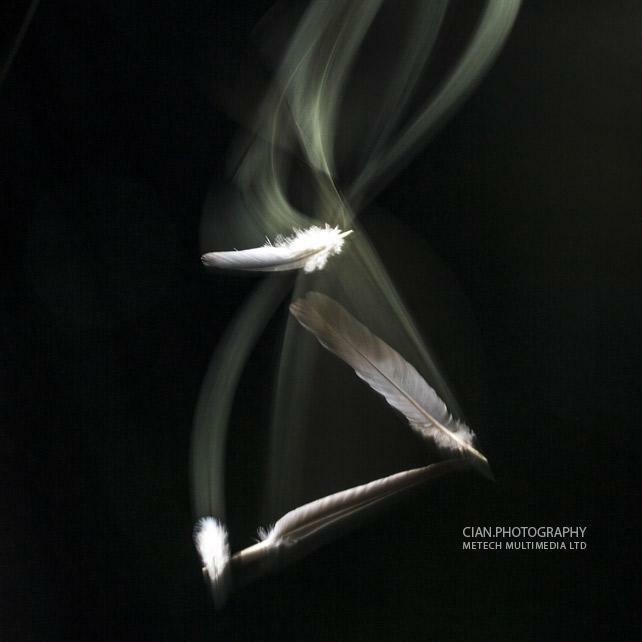 Alex wanted feathers to feature in the cover art, so we photographed them falling using second curtain sync to capture the motion trails. Pic left is one from the session..
We also used some trails on the artwork back cover design. We help you get your URL and web space sorted, so it's all in your control. We then build you a CMS (content management system) web site using all the great ammo we have from the recordings and photoshoot. This is based on your ideas of what you like and what you want to include. Once the site is built, we create you your own log-in to the back-end. Following a short tutorial, you can then update your site with news, gig dates, modify existing pages, add images to galleries etc, with ease. We can design your banners and help create pages for Facebook and other networks such as SoundCloud, Reverbnation, Twitter, Google+ etc. With your budget in mind, we can produce a great looking video for you. We have practically unlimited options here with the huge warehouse studio just 100 yards from our studio based at Millennium Studios in Bedfordshire. Anything from compiled studio shots, for something basic, through to full on productions with lighting that's the best available.